Take the time to watch this. It’s two hours well spent. I learned a lot about both Obama and Romney, and I found new respect for both of their backgrounds, challenges, and shortcomings. Don’t yell at your screen, but watch, and think. No matter how made up your mind is. 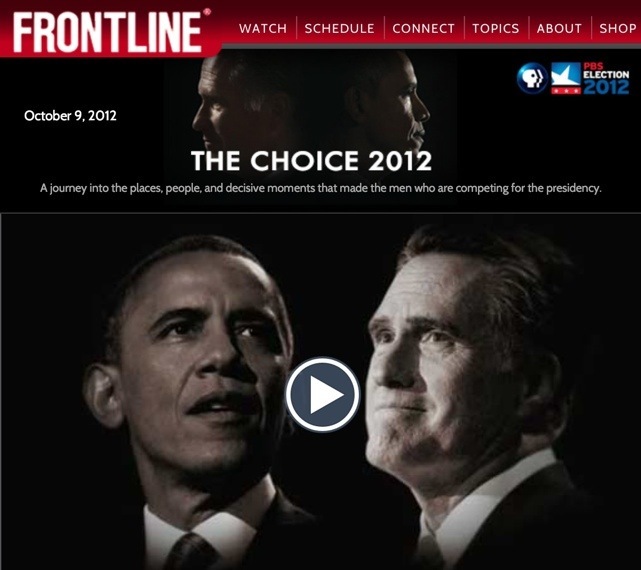 Frontline is publicly funded and has a track record of independence and excellent investigative journalism. I trust them more than any other broadcast journalists. This is worth two hours of your time.